Recently I enjoyed some moments relaxing on the well-crafted benches placed in front of our church by the Boy Scout Troop 503 in celebration of their 100th anniversary of being connected to us. What an amazing accomplishment–100 years of offering scouts orienting points for lives well-lived and connections to a larger reality by being part of a vision of community based in common values. And I pondered the many “dangers, toils, and snares” that the troop must have navigated in order to continue through all of the changes it needed to face in 100 years, including the most recent ones of inclusion of all sexual orientations and identities. The panoramic view from the benches takes in the hustle and bustle of Winchester Center, the sound of train bells heading in and out of nearby Boston, the serenity and beauty of the Common with its flowers and plants and the enormous tree at its center, offering shade over almost the entire Common. 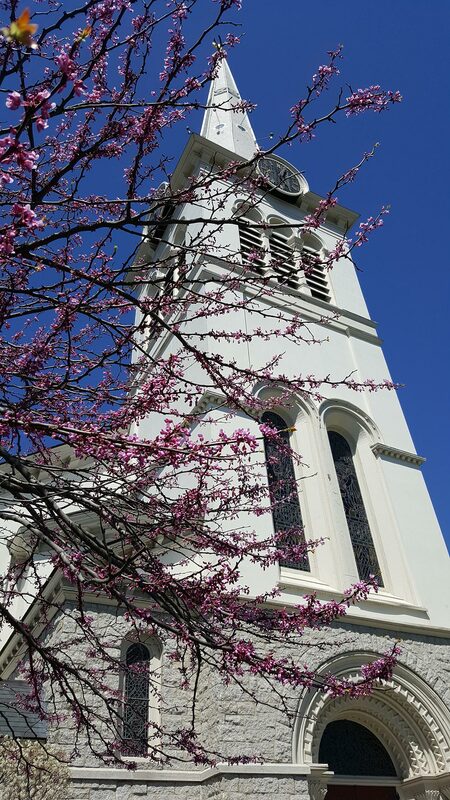 The lovely dogwood path leading from our church down to the Common gave me a feeling of invitation to flow back and forth: coming up to the church to be fed and going down to the town center to feed and to share the good news of God’s all-encompassing love. And who is the God we serve? I pondered the thousands of scouts who had been taught to use a compass to guide them through thick woods or on stormy lakes. They were shown the way to trust the “true North” of the compass when the wildness around gave what seemed contradictory signs of which way to go. We seem to be in a time when the moral compass of leadership in this country is at times spinning like a top. Whatever is most popular, most enticing, most defensive, most angering, most controversial is the direction toward which we can be seduced. 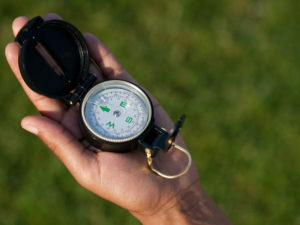 Dare we be reminded that as Christians, Jesus has given us a moral compass that helps us to move with direction through the wilderness and confusion of our days? Violence is like a virus and will only grow larger no matter what we think may be its outcome. Violence does not defeat violence. Only Love can do that. When the God-given dignity of creation is assaulted, we are called to reveal it for what it is. Unmasking bigotry, hatred, injustice. We have been called by a forgiving God into our own fullness of life. God calls all others there too. We are to be one body in Christ and understand that how we treat others is the measure of how our own grace and hospitality and care leads us to salvation and God’s peace. Thanks be to Boy Scout troop 503, and thanks be to God–for giving us a compass to guide us through all realities as we journey together on our way to God’s realm.